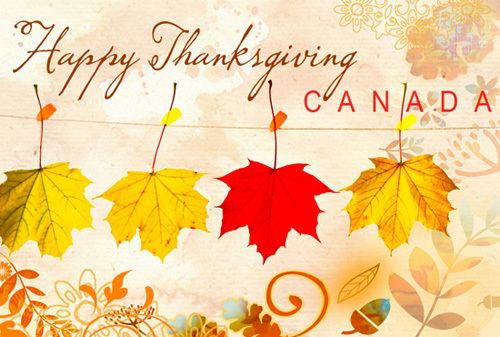 ..AND IT’S COLUMBUS DAY IN THE USA! the Berliner Gramophone Company was founded in Philadelphia. Record players were not too far off in the future. On this day in 1906, producer/director/writer William N. Robson was born in Pittsburgh. 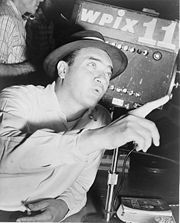 On staff at CBS beginning in 1936 he is considered to be one of the true creative luminaries of the OTR era. 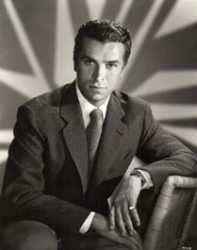 He is best remembered today for his work on the radio thrillers ‘Suspense’ (1956-59) and ‘Escape’ (1947-48). He was most proud of the wartime series he worked on fulltime, ‘The Man Behind the Gun’ (1942-44). During the ’50’s he wrote TV dramas, and in 1961 joined The Voice of America, where he was reunited with Edward R. Murrow, and won four Peabody Awards. 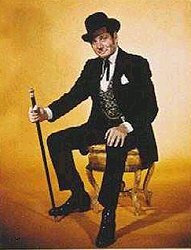 Robson died due to complications of Alzheimer’s Disease April 10 1995 at age 88. On this day in 1913, choral director & composer Walter Schumann was born in New York City. His best remembered composition is the Emmy-winning “Dragnet theme”. The Voices of Walter Schumann were featured on a number of radio-friendly albums for Capitol & RCA Victor. Schumann died young 21 August 1958 during pioneering open-heart surgery, at age 44. On this day in 1935, “The O’Neills” debuted on CBS radio. The theme song, Londonderry Air, opened the 15-minute soap opera. The O’Neills aired Mondays, Wednesdays and Fridays at 7:30 p.m. 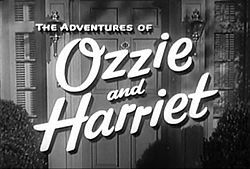 In 1936 it moved to daytime until 1943 on NBC’s Red and Blue networks and on CBS, too. One of radio’s original soaps, it was sponsored appropriately by Silver Dust, Ivory soap and Ivory soap flakes. was born Rona Burstein in New York City. 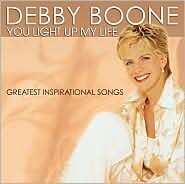 She was a force in entertainment TV beginning in the mid 1960’s, on Good Morning America, Today, Entertainment Tonight, & the Tomorrow Show. On this day in 1937, a radio classic had its first airing on CBS. The anthology series Grand Central Station is better remembered for the dramatic railroad sounds of the opening than for any one script in its 17 year run. was heard on the CBS radio network. 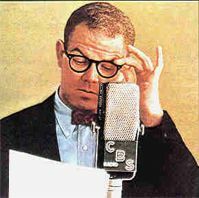 The show would continue on radio until 1953 and on ABC-TV from 1952 to 1966. 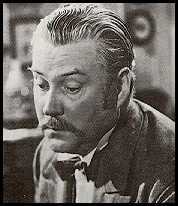 On this day in 1953, actor Nigel Bruce, who played a memorable, blithering Dr. Watson in Sherlock Holmes radio broadcasts and movies, died at age 58 following a heart attack. On this day in 1954, Calgary’s CHCT-TV Channel 2 signed on as a CBC affiliate. It was jointly owned by three Calgary radio stations: CFCN, CFAC and CKXL. On this day in 1955, “Love Is a Many-Splendored Thing” by the Four Aces topped the charts and stayed there for 6 weeks. starring Gene Barry, debuted on NBC-TV. On this day in 1960, Little Richard returned to the rock-&-roll world he’d given up for the ministry, as he started a tour of the UK. On this day in 1964, working at Abbey Road studios in London, The Beatles recorded their next single ‘She’s a Woman’ in seven takes plus overdubs, recording the track from start to finish in five hours. On this day in 1965, the Florescents supported by The Castiles, who featured a 16-year old Bruce Springsteen on vocals, had a gig at the I.B. Club in Howell, New Jersey. Admission was just $1.00. was broadcast on Radio-Canada at 10:30 pm. On this day in 1974, the song Then Came You, by Dionne Warwick and The Spinners, was certified as a Gold Record. CBC Radio‘s weekly national science magazine aired for the first time on CBC Radio. Except for its first year, it was on the air each Saturday after the noon news. On this day in 1977, NBC-TV aired “The Paul Simon Special,” which reunited the singer with old friend Art Garfunkel. hit #1 for 10 weeks on the top of Billboard and Cashbox singles chart. (Little House on the Prairie, Cimarron Strip, etc.) suffered a fatal heart attack at age 70. On this day in 1979, major US radio stations “mysteriously” received advance copies of Fleetwood Mac’s “Tusk” album, thus forcing Warner Brothers to move up the release date. On this day in 1980, reggae star Bob Marley collapsed in New York while preparing for a tour of the U.S. with Stevie Wonder. He was diagnosed as having cancer and died seven months later. aired as a TV movie on ABC-TV. Strong ratings led to the 6-year weekly series on CBS starting in ’82. who guest starred in TV dramas from 1954-80, died at age 67 of pancreatic cancer. On this day in 1983, actress Joan Hackett, who had running roles in Another Day & Young Dr. Malone, plus many guest roles in other TV dramas, lost her battle with ovarian cancer at age 49. On this day in 1984, Nova Scotia’s Anne Murray won the Country Music Association’s Album of the Year Award for “A Little Good News.” Murray was the first woman to win this award. On this day in 1985, an icon from rock’s early days, Little Richard was seriously injured in a single car crash in West Hollywood. His badly broken leg caused him to miss his induction to the Rock & Roll Hall of fame three months later. received his star on the Hollywood Walk of Fame. It was the same day that his biographical film “Hail, Hail Rock & Roll” premiered in LA. On this day in 1988, the TV comedy “Empty Nest” premiered on NBC. 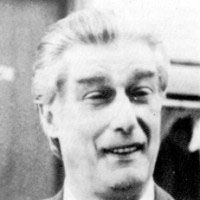 The show, a spinoff of The Golden Girls, starred Richard Mulligan and ran for seven years. Also in 1988, NBC-TV’s Saturday Night Live featured Keith Richards as musical guest, singing “Take it So Hard,” his first single as a solo act. Again on this day in 1988, Pink Floyd‘s “Dark Side Of The Moon” finally disappeared from Billboard’s Hot 200 Album Chart. It had been charted for a record 741 weeks, or more than 14 years! On this day in 1990, one of rock’s great drummers, Procol Harum’s Barrie Wilson succumbed to injuries suffered in a car accident several months earlier, which left him in a coma. He died in Eugene Oregon at age 43. Also in 1990, George Strait was named Entertainer of the Year at the 24th Country Music Assn Awards. Still in 1990, Tennessee Ernie Ford was elected to the Country Music Hall of Fame. On this day in 1992, early rock stars Bill Haley, Buddy Holly, Ritchie Valens and Elvis Presley got their own commemorative stamps from the U.S. Post Office. On this day in 1993, the Royal Canadian Air Farce moved into weekly television after two decades on CBC Radio… and several very successful TV specials. On this day in 1994, “Elvis Aaron Presley – The Tribute” aired as a two-hour pay-per-view TV special. Performers included Bryan Adams, Tony Bennett, Billy Ray Cyrus, Melissa Etheridge, Chris Isaak, Michael Bolton, and Chet Atkins. The concert originated at the Pyramid Arena in Memphis where Lisa Marie Presley and then-husband, Michael Jackson took it in. On this day in 1996, TV soap opera actor William Prince of “Young Dr. Malone” (1958-63), “Another World,” “The Edge of Night,” “Search for Tomorrow” and “A World Apart,” died at age 83. On this day in 1997, singer Jimmy Ferguson, a founding member of the Irish-Canadian folk group The Irish Rovers, died after suffering heart failure at age 57, while touring in Worcester Mass. On this day in 1999, the female country music trio SHeDAISY performed for the first time at the Grand Olde Opry. On this day in 2003, it was announced that Vivendi Universal and General Electric Co. had reached an agreement to merge. The name for the combined company was NBC Universal. On this day in 2004, Britney Spears split with the manager who had guided her career since she was 13, Larry Rudolph. He said the ending of their deal after nine years was by mutual agreement. 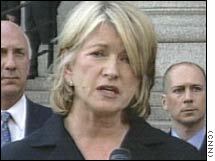 Also in 2004, TV homemaking maven Martha Stewart began serving her five-month sentence at the Alderson prison for women in West Virginia. It was her punishment after being convicted of lying about a stock sale. Still in 2004, a Genius: A Night For Ray Charles concert took place at the Staples Center in L.A. Hosted by actor Jamie Foxx, who played Charles in a bio film, the show had performances by Elton John, Stevie Wonder, Norah Jones, B.B. King, Al Green and Billy Preston. The concert aired a couple weeks later on CBS. On this day in 2007, the day before his album “Rock N Roll Jesus” was released, Kid Rock was the musical guest on CBS’ Late Show With David Letterman. On this day in 2010, NBC News’ first fulltime correspondent at the White House, Frank Bourgholtzer died at the age of 90. He had been with NBC for 40 years, some 25 of which were at the Los Angeles bureau. Also in 2010, to honor what would have been John Lennon‘s 70th birthday the following day, the Rock and Roll Hall of Fame and Lennon’s widow, Yoko Ono, planted a time capsule filled with Lennon’s solo recordings and fan contributions in Cleveland. The plan was to store the capsule until a ceremonial presentation on the 100th anniversary of his birth, October 9th, 2040. 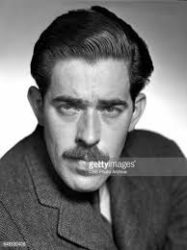 On this day in 2011, pianist Roger Williams, whose lush versions of tunes like “Autumn Leaves”, “Born Free,” “Till” and “Near You” were major instrumental hits in the 1950s and ’60s, succumbed to pancreatic cancer at age 87. 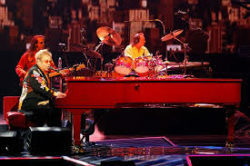 Also in 2011, Elton John gave the 3,000th live performance of his storied career at the Las Vegas Colosseum in Caesar’s Palace. On this day in 2013, novelty record singer Larry Verne, who produced a #1 hit ‘Mister Custer’ that sold over a million copies in 1960, died of heart failure at age 77. Also in 2013, musician Philip Chevron, best known as guitarist for The Pogues, died after a battle with head and neck cancer at age 56. 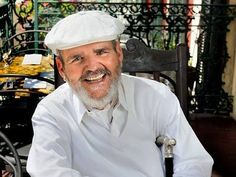 On this day in 2015, celebrity cajun/creole chef Paul Prudhomme, who hosted five seasons of cooking shows for the New Orleans PBS outlet, died after a brief illness at age 75. Also in 2015, UK journalist Hugh Scully, best known as the host and longest-serving presenter of the BBC TV’s Antiques Roadshow from 1981 to 2000, died at age 72. Still in 2015, the 70’s/80’s hitmakers Kool & the Gang were honored with their own star on the Hollywood Walk of Fame. On this day in 2016, Toronto-born classical music radio announcer Peter Allen, best remembered as the host of the Saturday afternoon Metropolitan Opera broadcasts for 29 years (1975-2004), died at age 96. His regular ‘day job’ as a host at New York’s WQXR began in 1947. Also in 2016, singer/songwriter Don Ciccone, who was a founding member of The Critters, who later sang with The Four Seasons and played with The Shondells, died at age 70. 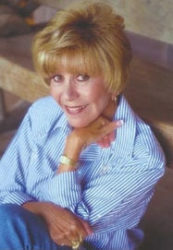 Retired entertainment reporter Rona Barrett (see 1936 above) is 82. Rhythm-and-blues singer Fred Cash (The Impressions) is 78. Comedian Chevy Chase (Community, Sat. Night Live) is 75. Country singer Susan Raye is 74. TV personality Sarah Purcell (Real People, Home Show) is 70. Actress Sigourney Weaver (Somerset, The Best of Families) is 69. Rhythm-and-blues singer Robert “Kool” Bell (Kool & the Gang) is 68. Producer-writer Edward Zwick (Once & Again, thirtysomething) is 66. Actor Michael Dudikoff (Cobra, Blood Sweat & Tears) is 64. Comedian Darrell Hammond (Sat. Night Live, Damages) is 63. Actress Stephanie Zimbalist (Remington Steele, Centennial) is 62. South African-born Canadian TV personality Arlene Dickinson (Dragon’s Den) is 62. 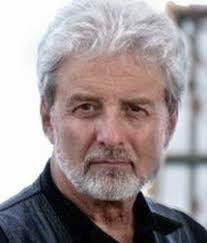 Actor/voicist Nick Bakay (The King of Queens, Sabrina the Teenaged Witch, The Angry Beavers) is 59. Actress Kim Wayans (Reckless, In the House, In Living Color) is 57. Rock singer Steve Perry (of Oregon’s Cherry Poppin’ Daddies) is 55. Winnipeg-born Global TV news anchor Dawna Friesen is 54. Actor Ian Hart (Boardwalk Empire, The Bridge, Klondike, Rogue) is 54. Gospel/rhythm-and-blues singer CeCe Winans is 54. Ramones bassist/singer Christopher Joseph Ward is 53. Actor Peter Greene (The Black Donnellys) is 53. Actress Karyn Parsons (Fresh Prince of Bel Air) is 52. Singer-producer Teddy Riley is 52. Actress Emily Procter (CSI Miami, West Wing) is 50. Toronto-born actor Dylan Neal (Cedar Cove, Arrow, Blood Ties, Dawson’s Creek) is 49. Actor Jeremy Davies (Justified, Lost) is 49. Actor/producer Matt Damon (30 Rock, Rising Son) is 48. Vancouver-born actress/voicist Robyn Ross (Mega Man, Fifteen) is 46. Actor Derk Cheetwood (General Hospital) is 45. Actor Martin Henderson (The Red Road) is 44. Actor Richard Short (Mary Kills People) is 43. Actor Travis Wester (Ghostfacers, Spyder Games) is 41. Actor Daniel Bess (Last Resort, 24) is 41. Actress Kristanna Loken (The L-Word, Painkiller Jane, Pensacola: Wings of Gold) is 39. Singer Noelle Scaggs of Fitz and the Tantrums is 39. Rhythm-and-blues singer Byron Reeder (Mista) is 38. Radio & TV host/rapper/actor Nick Cannon (America’s Got Talent, Brooklyn Nine Nine, Star Cannon, The Nick Cannon Show) is 38. Actor J. R. Ramirez (Power, House of Payne) is 38. Actress Amy Beth Hayes (Mr. Selfridge) is 36. Singer/songwriter Bruno Mars is 33. Actor Max Crumm (Grease: You’re The One That I Want) is 33. Actress Ksenia Solo (Lost Girl, TURN: Washington’s Spies, Life Unexpected) is 31. Actor Griffin Frazen (Grounded for Life) is 31. Edmonton-born actress Olivia Ryan Stern (Riverdale) is 27. Actor Angus T. Jones (Two and a-Half Men) is 25. Actress Molly C. Quinn (Castle) is 25. Model/actress Barbara Palvin (The Victoria’s Secret Fashion Show) is 25. Actress Bella Thorne (Shake It Up!, Big Love) is 21.